Hooray, there’s a new Fallout game out… but it’s unlike any other Fallout game you’ll have played before. 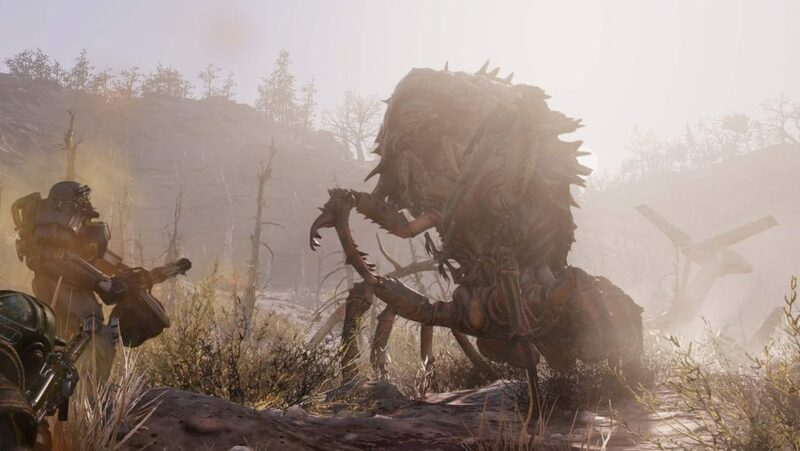 Whether or not you’re necessarily into the grinding, lonely, loot-happy wandering that Fallout 76 encourages, you need to know how it’s going to perform on your gaming PC before you dive headlong into the West Virginian wilderness. And that’s where we come in, braving the game’s brutal PC display menu – the settings options obviously created by a sadist with no regard for the well-being of PC gamers’ physical or mental health – and testing the game to see what hardware will get you the best performance and whether the PC port stands up. Thankfully Fallout 76 isn’t that demanding a game. The engine it’s built on is a slightly upgraded version of the Creation Engine which Bethesda used for Fallout 4. In fact some parts of the engine actually date back to the days of Morrowind. The main upgrade for Fallout 76 was implementing the Doom netcode into the game, not necessarily updating the visuals. 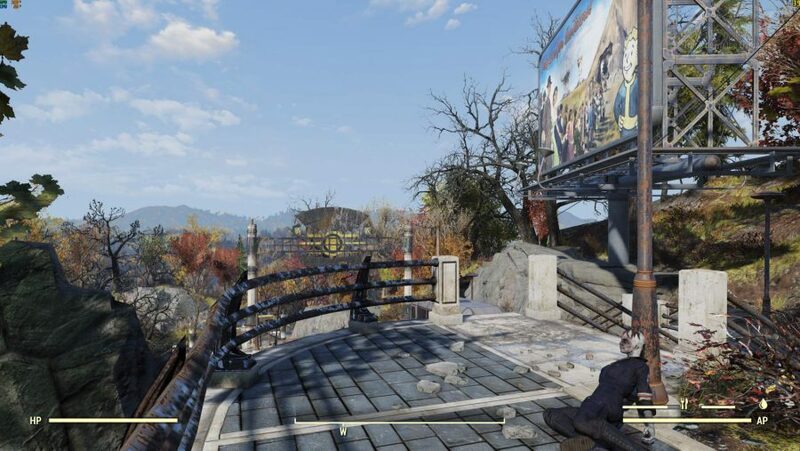 As such the actual system requirements for Fallout 76 aren’t actually that imposing – if you could get a decent experience from Fallout 4, you can bet you’ll do pretty well with getting Fallout 76 playing nicely with your rig. As ever, it’s all about how good your graphics card is, though the minimum requirements do state that a quad-core CPU is necessary for the game. 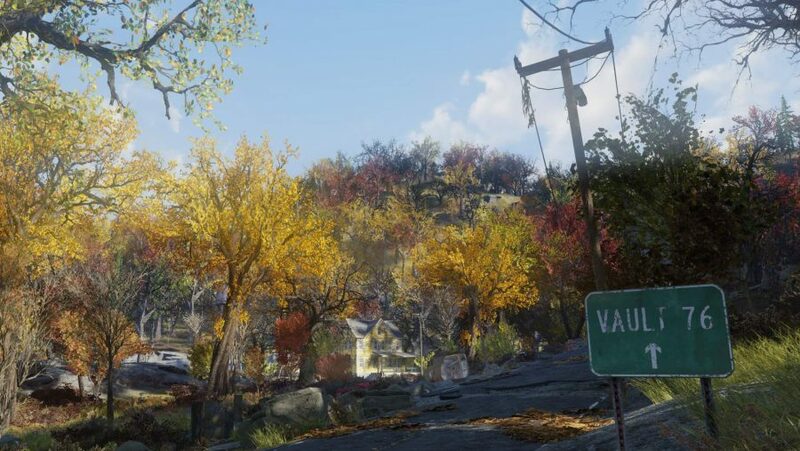 On the GPU-front a graphics card from five years ago is enough to get Fallout 76 out of bed, with a GTX 970-level card being picked as the recommended GPU of choice. That’s a pretty old pixel-pusher now, and well below the sort of performance levle you can expect from either of our two favourite graphics cards of today: the AMD RX 580 or the Nvidia GTX 1060. Those mainstream GPUs perform around the GTX 980 level of that same generation. Our standard test setup for modern games is to drop those two graphics cards into a similarly mainstream platform and see how they perform. Normally that would be either an Intel Core i5 8400 or an AMD Ryzen 5 2600, or both if it’s a particularly CPU-intensive game. There's no perceptible difference between AMD and Intel CPUs in terms of performance, so we've only changed the GPUs for our published results. 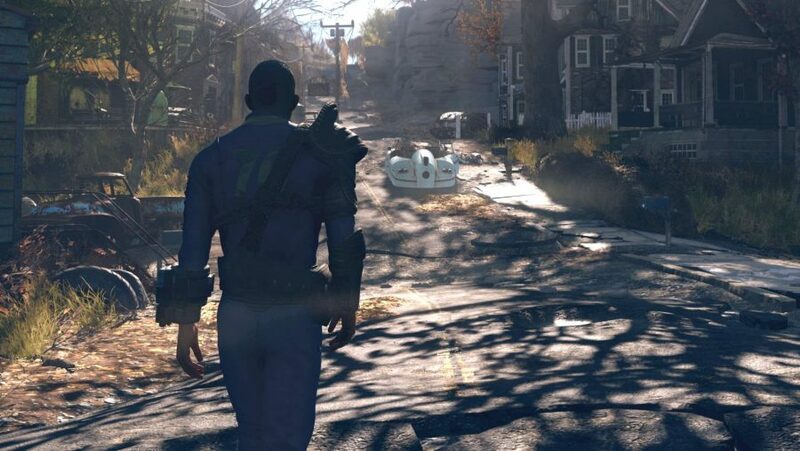 But Fallout 76, because of its relatively lightweight graphical demands, will soar with either of those mainstream AMD or Nvidia graphics cards. We tested using both the six-core i5 8400, and its little sibling, the resolutely quad-core i3 8350K, and it seemed to make zero difference which CPU was running. Both the RX 580 and GTX 1060 are able to run Fallout 76 at its frame rate limit of 63fps even up to Ultra settings in 1080p. Frame rate limit? Oh yeah, that. Because we’re now talking about a multiplayer game, and there is a link within the Creation Engine between how fast your system runs and how fast your character runs, people have been speedhacking by turning off the frame limiter in the .ini files. It’s been shown that by then looking at the ground (and so the GPU is rendering very little extra geometry) the player is able to move incredibly fast. It’s the same situation inside of buildings too, where the render load is at its lowest in this open-world game. Bethesda subseqently patched out that possibility in the beta test, and so the full game is now locked to 63fps. Because it hates high-performance graphics cards, PC players, and high refresh rate monitors. Probably. As you can see it’s only once you start pushing the game up to 4K that it really starts to test either the RX 580 or GTX 1060, and the frame rate consistently drops below that frame rate limit. But, realistically, if you’ve got a 4K gaming monitor for your PC then you’ve also probably got a more capable pixel-pusher anyways. The end result is that if you have a relatively mainstream GPU of the last two generations of AMD or Nvidia cards, then you’re going to be fine. But what about that recommended spec card, that hoary ol’ GTX 970 chestnut, how does that perform in our in-game benchmarks? Fine. That’s the general takeaway from my time messing around in West Virginia – most modern hardware, so long as you have the latest GPU drivers, is going to run fine. And will also probably be bumping its head against that frustrating 63fps frame limit. At 1080p the GTX 970 doesn’t quite hit the 60fps mark, but is only ever one or two fps on average away from it, even when rocking Ultra settings. Because of that knocking it down to Medium settings doesn’t really change things either. It does when you shift up to 1440p, however, where the GTX 970 only manages to hit 43fps on average at Ultra settings. That’s with the max draw distance and all the graphical bells and whistles this creaking Creation Engine can offer, so that ain’t bad. Dropping to Medium settings here does mean you’re back up to that magic 60fps mark. And what difference do the disparate graphics settings mean in-game? You can arguably see the biggest difference in quality between the High and Medium settings as the shadows have a serious impact on the visual fidelity of a scene. In both High and Ultra the shadows setting is on full, and drops in quality down to Medium and rather drastically on Low. But even though the draw distance is massively cut on Low, it still doesn’t look that bad, except for those hard shadows. There’s no extra geometry on the Ultra setting – Creation is no tessellator after all – so those rocks and the handrail stay as basic low-poly blocks no matter what. The difference between the Ultra and High settings is all down to the draw distance on the actors, objects, and foliage – every other quality setting remains at their top settings. And that means the near-field visual fidelity of a scene looks little different between the top two overall settings, unless you start looking far into the distance like the lonely wanderer you are. You’ve seen too much, haven’t you? But if you are frustrated by a lack of performance, then switching from Ultra to High will net you a few extra fps without impacting the immediate appearance of the game. But because the Fallout 76 engine is so old there’s not a lot of frame rate impact from the limited quality settings available to change if you’re already sporting relatively modern hardware. Even our five year-old GPU performs admirably. There are some frame rate drops sometimes when combat is initiated, but for the most part the game itself performs well. Obviously, as a game engine not at all built for multiplayer, Fallout 76 can be a buggy experience when you encounter other players. And the AI can be a little… entertaining on occasions, shall we say. In terms of how it runs on our hardware, however, so long as your drivers are up to date it’s able to perform pretty well.